eBetFinder is a helping tool for users who are looking to get into real money eSports betting, thus it’s crucial that you understand the pros and cons that come with it. As with all gambling, there is always a risk involved, which includes losing your stake and developing an addiction. It’s therefore important that you approach betting and any other gambling in a responsible manner and never gamble with money that you can’t afford to lose. 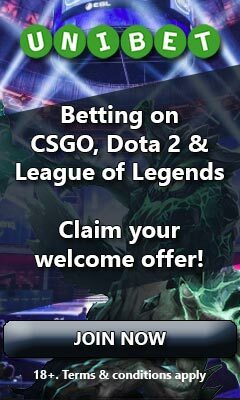 We at eBetFinder.com only promote responsible gaming and won’t be held accountable for decisions made by you and other users of our service. If you feel that gambling is getting out of control we highly recommend to seek professional help. Although we all wish to make an extra buck, it’s important to know that gambling is supposed to be fun. If you feel that your gambling habits are having a negative impact on your life in any way, we highly recommend taking the necessary steps mentioned above and get help before the problem escalates.